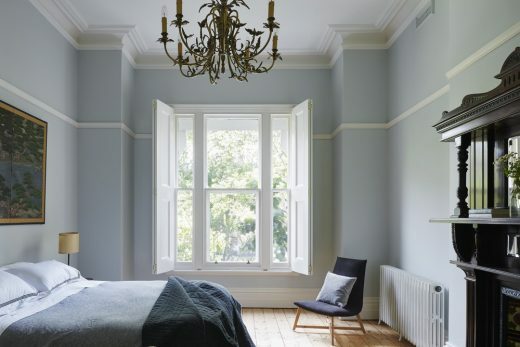 Untouched for over 50 years this grand old Edwardian manor in Camberwell was a museum piece when recently purchased by the new owners. The family of 5 loved the period details and had dreamed of living in this street and exact house for many years. 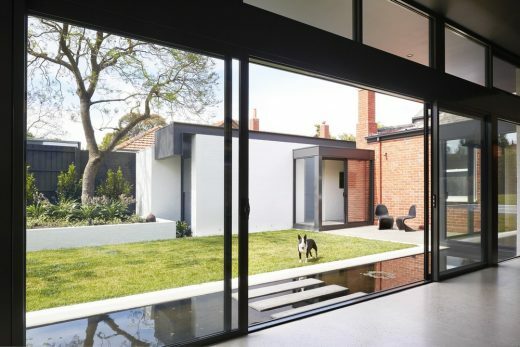 The brief called for a modern extension of open plan living overlooking a reflection pond plus the addition of bedrooms and upgraded facilities throughout. 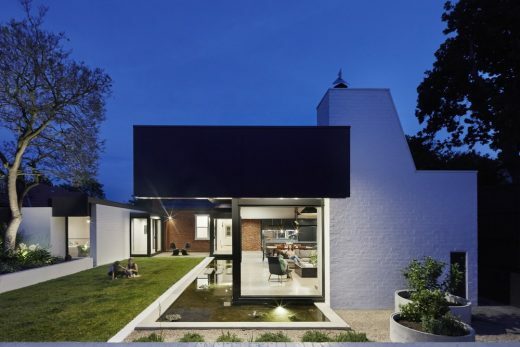 The design solution resulted in the creation of two separate ‘pod’ structures linked to the rear of the existing house through glass walkways. One pod includes two new bedrooms and the other pod contains the new open plan kitchen / family / meals areas. 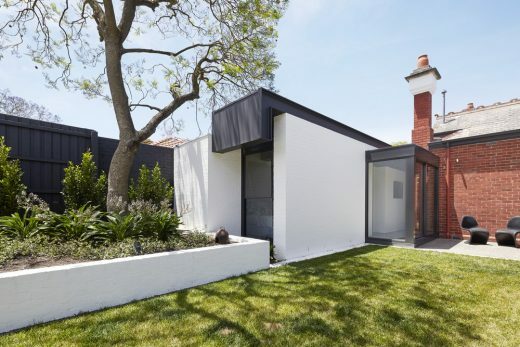 This separation of new and old clearly defines both eras respectfully with the new work sensitivity complimenting the old period structure. 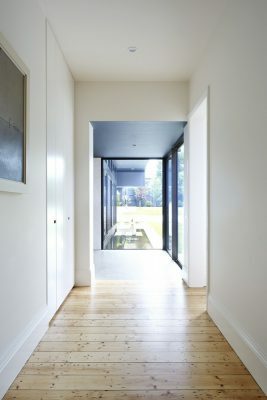 The extension runs along the south boundary to capitalise on northern solar gain, re-orientating the existing relationship to the backyard. 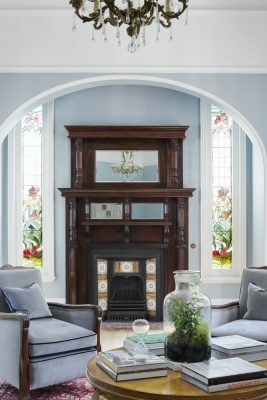 The grand old Edwardian manor has be rejuvenated to provide a backdrop for further family fun, experiences and memories. Due to heritage constraints the new works are not visible from the street. 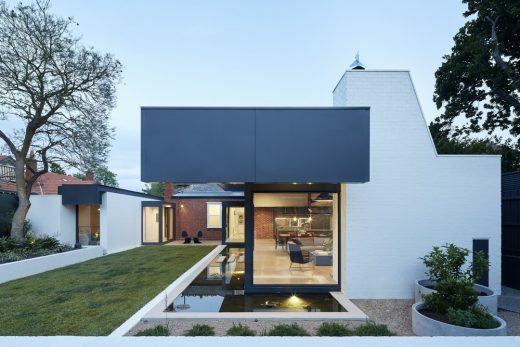 The new works are sympathetic in scale and form and respect the original Edwardian brick house celebrating the original features. A new brick carport is located at the rear of the property with access via the rear laneway. 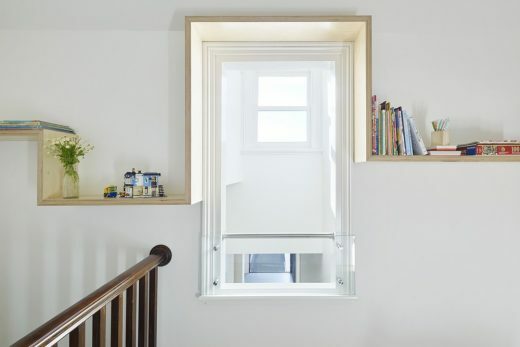 Form, mass and materials of the new extension have been carefully considered to complement and enhance the existing character of the subject house and retain original features. 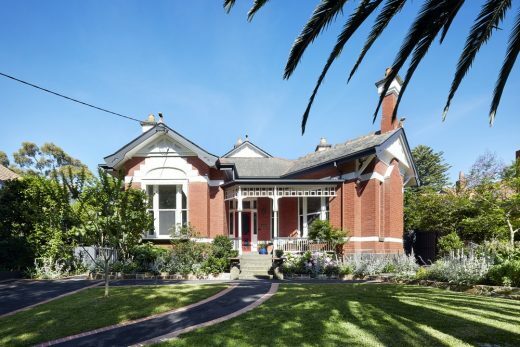 A remarkable old house with a known history is uncommon for a property of this vintage. “Marrandillas” (the house) is about to turn 117 years old and has had a colourful and full life to date. Countless memories, life changes, hopes and fears are all held within her walls, observing the finite human condition, the circle of life. A new family and a new set of circumstances have arrived. 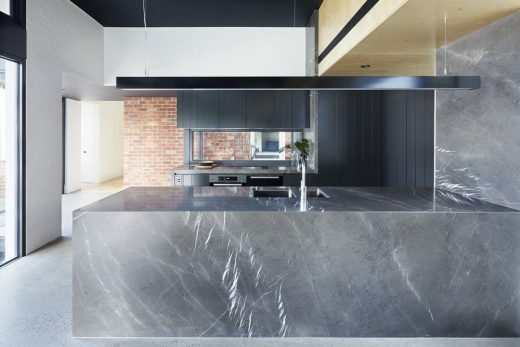 The new century brings the biggest changes for ‘Marrandillas’. 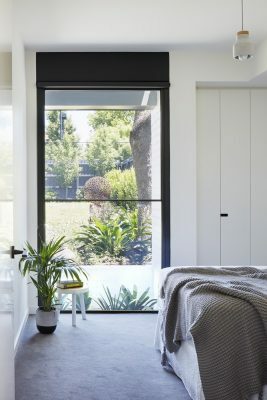 The new owners a family of 5 love the ‘Modern’ period in artwork, artefacts and desired to respect the past and reflect this in their new house extension. The owners have a deep respect and commitment to the past (in fact all the historical research of the property was undertaken by the owners). 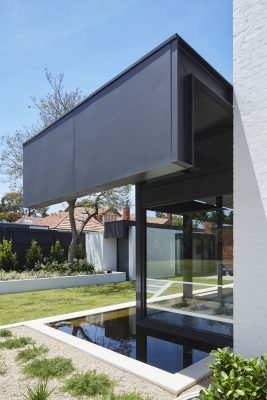 The unique architectural ‘pod’ extensions are connected to the existing house via three glass walkways to ensure both the new and old are identifiable and respected. The pods have flat roofs which extend to the north to provide shading and fold down to the west to offer shelter from the hot afternoon sunlight. “Marrandillas” now has a pond. 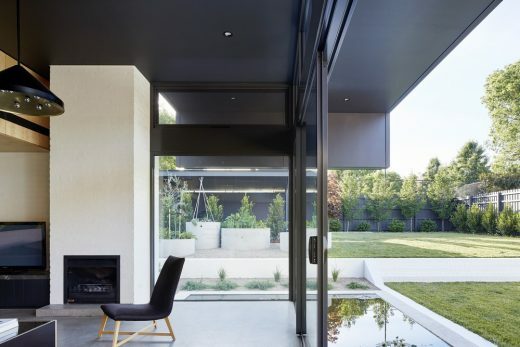 The new reflective pond wraps around the north / west side of the living room extension providing a tranquil relaxing outlook plus aids with evaporate cooling during the hotter months. The pond contains 15 comet goldfish, the new family members have names such as: Graham, Yeti and Shubunkin. Embracing the aquatic experience access from inside to outside is over the pond via stepping stones. Over the pond to the north an original Jacaranda tree has been retained (the site featured very few significant original trees) this provides a lush backdrop and shade in the summer. Adjacent to the tree sits a complementary sculpture titled ‘Chartreuse Ballerinas’ by John Cerlienco resembling a man-made version of the Jacaranda tree. 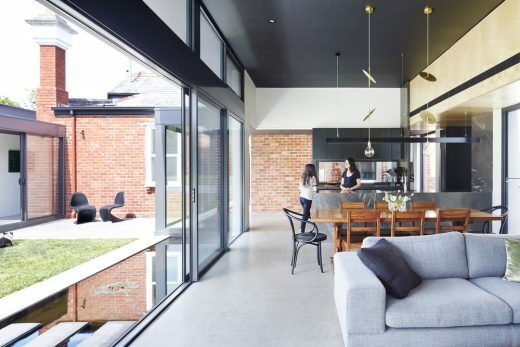 The beautiful texture of the painted recycled brickwork reflect back to a ‘Modern’ period whilst providing a contemporary take on the original Edwardian soil brick walls. 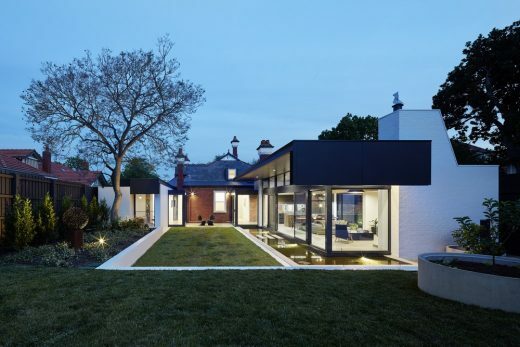 The new extension adds modern life zest to a notable period classic.